By buying this product you can collect up to 30 loyalty points. Your cart will total 30 loyalty points that can be converted into a voucher of $0.30. 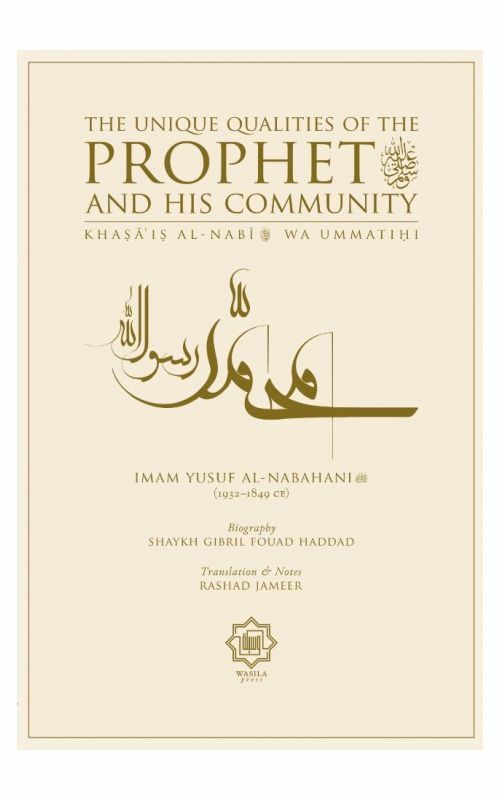 Set in English with vocalised Arabic script, this collection of forty ahadith on the Khasa’is or Unique Qualities of the Prophet a and His Community is compiled by one of the foremost judges, lovers of the Prophet a, and spiritual scholars of the recent-past – Imam Yusuf b. Ismaʿil al-Nabahani g.
This selection of the special distinctions exclusively possessed by the Chosen Prophet a (al-Muṣṭafa) is gleaned from Imam al-Suyūṭī’s Khaṣā’iṣ al-Kubrā and the ahadith. Recommended for all lovers of Islam, the purpose of this science is to elucidate the supreme rank and magnificent nature of the best of creation a. Including an appendix elucidating the oft-misunderstood concept of seeking an intermediary to Allah (tawassul) through the Story of the Bedouin mentioned in classical exegesis, whose poetry is still displayed on the white pillars that surround the Prophet’s noble resting place (wājiha sharīfa), and commentaries by Mulla ʿAli al-Qārī and ʿAbd al-Ra’ūf al-Munāwī on the Hadith of the Blind Man which is a testimony for the permissibility of tawassul, this short book is essential reading for the followers of Sayyiduna Muḥammad a. In an age where the ummah has forgotten the merits of the Messenger (peace be upon Him), and their own merits, this book serves as a great reminder. Brief, yet filled with wisdom and solace. I would urge everyone to read it and I ask the Imams of Masajid to use this for their post-salah lessons. The genre of Islamic literature known as khasa’is (unique features and qualities) aims to put into practice the saying of Lady ‘A’isha (Allah be pleased with her), “The Messenger of Allah (Allah bless him and give him peace) ordered us to put people in their proper places.” Recording, learning, and affirming the unique qualities of the Prophet Muhammad, and by extension his nation, are some of the greatest means of enlivening our faith, as they are loving expressions of reverence and acknowledgement of the Prophet’s immense favor over us. In this succinct work, Shaykh Yusuf al-Nabahani presents key prophetic traditions concerning the unique features, unrivaled distinctions, and matchless qualities that Allah bestowed upon His ultimate expression of mercy and love: our master Muhammad (Allah bless him and give him peace). This beautiful work releases wafts of pure Muhammadan Fragrance that will surely uplift souls and penetrate hearts with its sweetness. 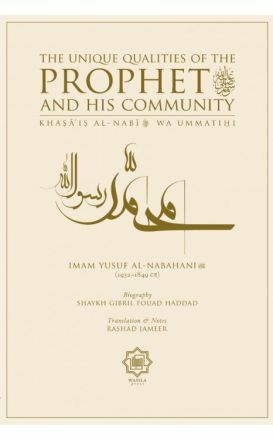 This English rendition is a great piece of classical scholarship and knowledge, empowering the reader with inspiration, love and attachment to the lofty status of Allāh’s Messenger (peace and blessings upon him) and unique traits of the last Prophet and his community. This is a must read publication for every individual striving to learn the reality of the Muslim community and its leader. I applaud the efforts of Wasila Press for bringing this work into fruition.